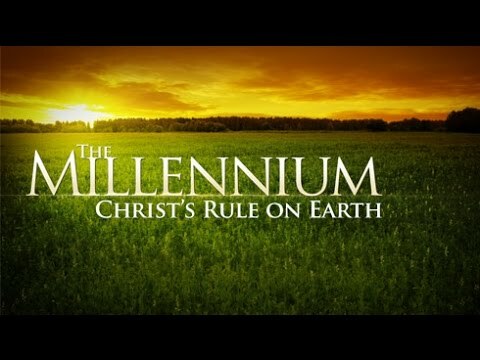 I had no idea when I began this series that it would extend beyond ten articles, but here we are on the 11th installment and we still haven’t completed the Old Testament survey of this remarkable time yet future known as the Millennial Reign of Christ! The preponderant evidence of such a period of time as revealed by the Scriptures is a matter of fact. It cannot be explained away, spiritualized or allegorized. Nothing except a literal reading and explanation makes sense of all of this. When the Messiah returns to Earth, He will come as a ruling King, and no King is without a Kingdom – obviously the very term ‘Messiah’ is by definition, the King of Israel – not a king over Gentiles (though He most certainly shall reign over all the world), not the King of the church – Christ is the Head of the Church, and LORD, but where in Scripture does it explicitly state that Christ’s office over the church is as her King? The Messiah will reign over the Kingdom of Israel (ACTS 1:6-7). Let’s now proceed with our examination of the book of Daniel and see what the LORD had revealed to him. The LORD had sent prophet after prophet to Israel, admonishing His people to repent of their idolatry and their neglect of the holy feasts, as well as obeying the Law, particularly the Sabbath for the land. Every seventh year they were to allow the land to go fallow and rest – for practical reasons, this would restore nutrients and mineralization so that crops grown would be healthy and supremely nutritious. Above and beyond that however, this would express Israel’s trust in the LORD, rather than in their agricultural prosperity to provide for her needs. Israel refused to repent however, and so judgment finally came in the form of a military invasion from the mighty Assyrian armies that took the northern Kingdom of the House of Israel into captivity (722 BC); the southern Kingdom of the House of Judah stayed marginally faithful to the LORD but eventually fell into blatant idolatry and rebellion against the LORD, and so the mighty empire of Babylon invaded Judah (597 BC), stripped the Temple bare, brought the people into slavery and virtually emptied the land. This began what is known as “the time of the Gentiles” (LUKE 21:24) which continues today and will do so through the reign of the Beast, until the coming of the Messiah, Who will deliver Israel from the determined plan of Satan to wipe her out once and for all. Upon the complete eradication of the anti-Christ’s forces, and the putting down of the world empire under his evil reign (DAN 2:43-44), the LORD will establish His own New World Order wherein the knowledge and glory of the LORD will be global (HAB 2:14), with Himself on the throne of David, reigning and ruling over Israel and all the world from Jerusalem (LUKE 1:32-33)! Those are going to be days of thrilling, exhilarating and joyous excitement, unparalleled by any other time in human history! In the book of Daniel, we see a lot that deals with the 70th week of this prophecy that Gabriel gave to this prophet, and typically there is also revelation of the kingdom of Israel that follows upon it quickly. Let’s first have a look at Chapter Two . . . The chapter opens with King Nebuchadnezzar being troubled because of a dream he claims to not remember and he seeks the counsel of his magicians, astrologers, sorcerers and others to reveal it to him. None of them are capable, but Daniel prays and the LORD God revealed to the prophet what the Emperor’s dream was. Note what is says about this stone: “cut without hands” – which indicates that this isn’t just some common stone picked up on the side of the road; this is a corner stone, which is carefully chiseled and cut to specifications in the construction of a foundation to a building in those days. This stone was indeed cut – but without hands, that is, by no human contrivance. This is a stone that is divine in origin! This is the mountain of the LORD, the God of Jacob (Israel) – and out of Zion shall the Law and the Word of the LORD go forth, located in Jerusalem (not a ‘spiritual’ Zion, but the literal Zion located at Jerusalem which will in fact be the spiritual center of the whole Earth). There are those of the New Apostolic Reformation movement* that declare the church must take over and reign over the world, ‘Christianizing’ its people (instilling Christian morals and the Seven Mountain principles*) before Christ can come and reign. Incidentally, this is actually what happens with the false Christ, the Beast: the rulers of the world set up the one world system, and then hand it over to him (REV 17:12-14)! 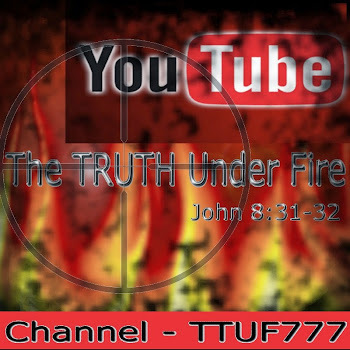 **- For a biblical treatment of the REAL Seven Mountains of the Kingdom of God outlined in Seven Mountains where the LORD established foundational truth, see this two-part article. 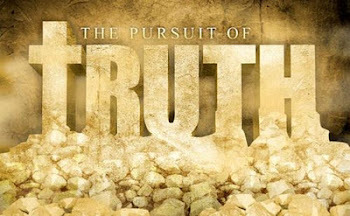 Yet where Christ is concerned, nothing could be further than the truth! It is Christ Himself Who comes from heaven to establish the Kingdom from heaven (“the kingdom of heaven”; MATT 3:2; 4:17; 5:3,10,19-20; etc.) and it is He who rules from Jerusalem over all the world, and grants power to His saints (not the other way around as is the case with the Beast; See REV 2:26) and casts down the powers, governments, reigning dignitaries – and of course the ‘top of the heap’ – Satan and his kingdom of darkness. These powers are literal powers in the world today, and the various nations will (and are already) amalgamizing into a sort of ‘Roman Empire’ reborn (the iron mixed with clay (DAN 2:33) that the Beast will rule over and this is where the LORD, the Chief Cornerstone will strike and level the entire system of Satanically-inspired human rule. This is a blessed truth that should inspire peace and rest among us believers and followers of Christ: there have been many ‘kingdoms’ of this world that started out with just laws, noble purpose and promise, bequeathing liberty and prosperity to their citizens, but the curse of sin that lays over all the world gradually (or not so) eroded the foundation and corrupted the already corrupt hearts of the men who established it until those kingdoms fell into ruin. We are seeing such ruination of the ‘kingdom’ that is – or was, America. Yet the kingdom that Christ will bring to this sin-weary world will be as incorruptible as He Himself and it “shall never be destroyed” or “left to other people” and “shall stand forever” and EVER, and EVER, HALLELUJAH! FOREVER – as Handel so aptly put it! The counterpart of DANIEL 2 is DANIEL 7; Chapter 2 is seen from man’s perspective (Nebuchadnezzar being representative) with these four world powers as fine, precious metals, beautiful and desirable. However, Chapter 7 is from God’s perspective – these same world powers are seen as ferocious and baneful beasts that destroy and devour. Let’s carefully observe any parallels to Chapter 2. In Chapter 2 it was Nebuchadnessar that had the dream; here in Chapter 7 its Daniel. It begins with a great tempest of winds from the four compass directions over the great sea (often referring to the Mediterranean) – and idiomatically represents the world, that is, the Gentile nations (ISAIAH 57:20). In this prophetic vision the gold of the statue in Chapter 2 correlates with this lion that had eagle’s wings; the silver of the statue with the bear that held three ribs in its mouth; the bronze with the leopard that had four wings and four heads. The iron and iron mixed with clay however don’t have two representative animals in Daniel’s vision. Then after these, there is only this fourth and final terrible and strong ‘beast’ that can’t even be identified as a particular animal (not a wolf or a bull, as were the other prior animals). This monster had ten horns and as Daniel considered these, there arose in that moment another “little horn” which is representative of the Beast or anti-Christ* who speaks “great things” as in arrogant boasting. By having these four beasts, and especially only this fourth and not a fifth beast, this monster is associated not only with the iron legs of the statue of Chapter 2, but also the iron mixed with clay, linking them as the same entity. As has been suggested by one Bible expositor, the feet of iron mixed with clay that follows the two legs of iron (the Roman Empire) can be viewed as the “Roman Empire – Phase II”. That is a reborn and modernized Roman Empire that shall arise as the world power in the last days before the return of Christ. *- REV 12:3 addresses this beast – “a great red dragon” having ten horns; I believe this is the same beast from which the anti-Christ arises. This red dragon being a prophetic representation of both the one world system and in a spiritual sense, the embodiment of Satan (See REV 12:4,7). Upon the completion of the statues description, the next thing we see is this stone cut without hands. What do we see in Chapter 7 right after the revealing of this “great and terrible beast”? 1) The Ancient of Days will cast down all the thrones of this world: PSALM 45:6; 90:2; 93:2; ISAIAH 44:6; 46:9-10; DAN 2:34-35, 44; MICAH 5:2; REV 1:8,11; 11:15. 2) His garment is white as snow, and His head of pure wool (so he is precisely identified as a person, particularly a He: REV 1:13-15. 3) His own throne is like fiery flame: 2 THESS 1:7-9; the source of flame from these cherubim who are elsewhere seen surrounding the throne of God, would be the LORD Himself: EZEK 10:2,6; EZEK 1:5,13-15; circa REV 4:6-8; 5:6; HEB 12:29. 4) There is an innumerable multitude ministering to Him: PSALM 109:30; REV 5:9-13; 19:5-7. 5) He is the Judge who will establish judgment and open “the books”: HAB 1:12; MATT 24:29-31; JOHN 5:27; 12:47-48; REV 20:11-15. 6) In His presence the Beast is slain: 2 THESS 2:7-9; REV 19:20; 20:10. 7) This Ancient of Days is apparently synonymous with “The Son of man” – He Who is granted the authority to judge: MATT 9:6; 13:40-42; 16:27; LUKE 10:22; JOHN 5:27; REV 14:14-20. 8) All dominion, glory, kingdoms, nations, languages will serve Him: PSALM 72:10-11; ISAIAH 60:2-3,12-14; 62:1-3; REV 5:1-14; 7:9-17. 9) His own dominion is everlasting: MICAH 4:7; LUKE 1:31-33; HEB 1:8-12; REV 5:11-13. 10) His kingdom will not be destroyed: ISAIAH 9:6-7; DAN 2:44; HEB 12:22-29. These “weeks” are not seven days in each week, but rather seven years in each week (Heb. “shabuwah” a kind of ‘Jewish decade’ – minus 3 years, if you will. Seventy of these weeks of years would be 70 x 7 or 490 years between the time when Nehemiah began to “restore and to build Jerusalem [to the time of] the Messiah is this period of time, 490 years. This is not the time of His First Advent, but His Second; when the Messiah will return and set up His kingdom. Previously it was at the end of the 62nd week (see vs. 26; which occurs after the initial seven weeks: see vs. 25) that the Messiah was “cut off” – where our LORD was crucified (“but not for Himself” vs. 26) for our sins, “mak[ing] reconciliation for iniquity. The bringing in of everlasting righteousness is two-fold: spiritually speaking, the LORD provided this righteousness vicariously on our behalf, those of us who are clothed upon with His righteousness (ISAIAH 61:10); there will also be a bringing in of everlasting righteousness when our LORD returns and rules with a rod of iron (PSALM 2:9; REV 2:27; 12:5; 19:15). Sealing up this vision and prophecy “until the time of the end” (DAN 12:9), that is, the last days in which these visions and prophecy are no longer sealed but revealed – to the apostle John in the book of REVELATION (REV 22:10). Thus we know that the coming of the Messiah spoken of after the fulfillment of this 70 weeks prophecy refers to His Second Coming and the establishing of His Millennial Reign. 2 And many of them that sleep in the dust of the earth shall awake, some to everlasting life, and some to shame and everlasting contempt. 3 And they that be wise shall shine as the brightness of the firmament; and they that turn many to righteousness as the stars for ever and ever. 4 But thou, O Daniel, shut up the words, and seal the book, even to the time of the end: many shall run to and fro, and knowledge shall be increased. “At that time . . .” reflexively points back to Chapter 11 which speaks of the anti-Christ and his dealings with Israel; and it is at that time that Michael, the great prince, the arch-angel will stand for the children of Israel, as Michael is the angelic protector of the nation – particularly in this time period, “a time of trouble such as never was since…even to that same time” (circa MATT 24:21) but the people of God “…shall be delivered…” (DAN 11:44; MATT 10:22; 24:13) at the arrival of the Messiah, Who shall rescue them from the Beast (anti-Christ); ISAIAH 63:1-6; 2 THESS 2:8. The mention of “the book” in vs. 1 is likely the book of life; and since it is the “Lamb’s Book of Life” we may rightly deduce that these people of Israel will have placed faith in Y’shua as the Messiah! From there, the resurrection of the just (“everlasting life”). These events will precede the time of the Millennium, itself an age, comprised of 1000 years that occurs once the judgment of nations is completed (MATT 25:31-46). Then the judgment of the damned (“everlasting contempt”) is seen, just prior to the creation of the New Heavens and the New Earth; REV 20:11-15; 21:1-2. So ends this eleventh installment in the study of the Millennial Reign of Christ; when next we gather, we will look at the minor prophets and LORD willing, by the 13th installment we will venture into the New Testament and determine what it speaks of regarding this fantastically exciting time in store for the saints of God! Until then, remember – The LORD JESUS REIGNS, and Satan only feigns.